How did TIVO lead to Netflix? How does good software lead to empowerment? In this episode, we deconstruct the everyday impact of great software. It’s pretty cool having control of the screen: This week Paul Ford and Rich Ziade meet with their friend Timothy Meaney, VP Product &amp; Quality at Insight Catastrophe, to talk about what makes software great. Between the earliest spreadsheet programs, the hidden databases upholding Manhattan, and the ChromeBook interface that makes Paul’s kids cry, we learn how the best software is characterized by its simplicity. [Podcast player] ►iTunes/►SoundCloud/►Overcast/►Stitcher/►MP3 /►RSS 2:35 — Tim: “People also don’t think about software.” 6:10 — Tim: “There was something very powerful about computing, being from what you just described — me being alone in my room writing a game that I want to play myself — to talking to other people.” 6:50 — Tim: “The web, since [AOL Instant Messenger] has been about people.” 7:05 — Paul: “What’s interesting from the two of you is that the quality of greatness is accessibility. It’s not about inventing anything, it’s about making it accessible.” 8:00 — Paul: “Suddenly AIM replaced a whole category of communication. BASIC made it possible to program. MacPaint made it possible to draw.” 8:50 — Rich: “Photoshop has gone straight to hell! To hell with Creative Cloud! To tell with whatever is happening in Photoshop today. I don’t understand it.” 9:10 — Paul: “The magazine industry died, why do they make me relive it every day?” 10:05 — Rich: “Once it came to me — the mental model kicked in around layers in Photoshop — I lost my mind. I was like, oh my god, this is how everything is done.” 11:20 — Paul: “If you walk up and down the streets of Manhattan where we happen to be right now, billions and billions of dollars of decisions will be made this week based on Microsoft Excel and Microsoft PowerPoint. Those are the tools and the software that people will use to move entire markets.” 16:05 — Paul: “I just want to pull SQLite out and point at it because it’s a tiny piece of software and it stores data. That’s all. It’s a tiny database. It used to be that you’d go to Oracle and spend $30,000 to have this database. SQLite is on every Android phone, every iOS phone — it’s in just about every computer and every platform.” 21:20 — Paul: “TiVo was our first step on our cultural path to Netflix.” 25:40 — Tim: “The cycle is funny, right. It’s reached a point where it’s so transparent that we’ve ceded the control. A 10-year-old is not getting excited about gaining that control, they just have it.” 25:55 — Paul: “If you ever want to see a 6-year-old have a temper tantrum, just give them the interface to a ChromeBook.” 26:25 — Paul: “I thought the NYPD was gonna arrest me for downloading Chicago 17.” 26:50 — Paul: “God, I love a good shared file system between friends! I miss that in my life!” A full transcript of this episode is available. 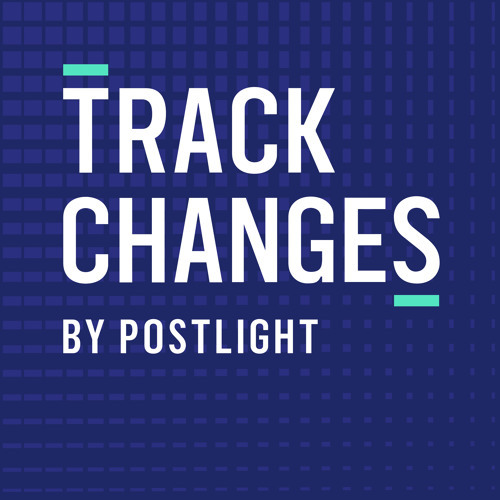 LINKS Tim Meaney VisiCalc SQLite BASIC The Rise and Fall of AIM, the Breakthrough AOL Never Wanted OiNK.cd Shut Down, Admin Arrested Track Changes is the weekly technology and culture podcast from Postlight, hosted by Paul Ford and Rich Ziade. Production, show notes and transcripts by EDITAUDIO. Podcast logo and design by Will Denton of Postlight.